Probably my favourite of this particular evenings images taken at Loch Clair during a winter sunset of quite extraordinary colour and clarity. 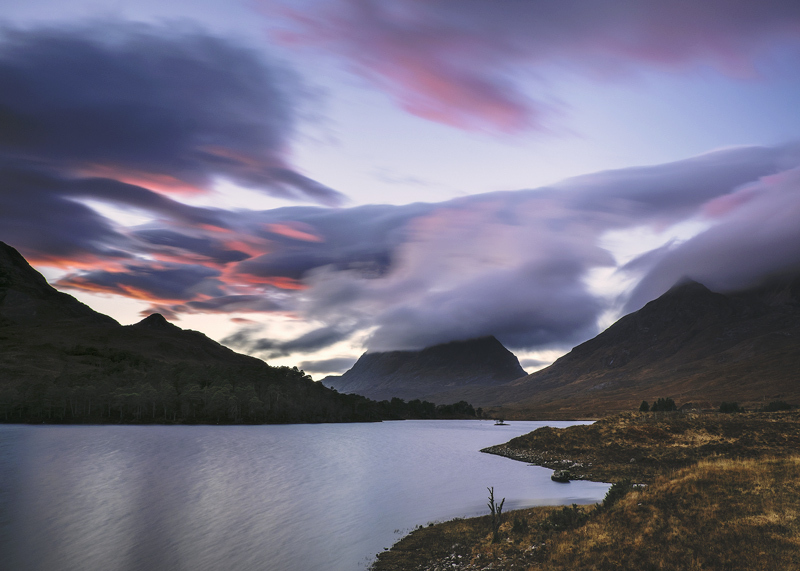 This one was just showing a hint of the full impact of that winter afterglow building on the fringes of the lenticular clouds billowing above Liathach and the Torridon hills. It was an extraordinary and unforgettable show.